Kristi's Royal 40th Birthday Cruise! Kristi has decided to celebrate her 40th Birthday aboard the beautiful Royal Caribbean Freedom of the Sea and she want you to join her. Here you will find everything you need to know about this Royal Cruise. You will also be able to request your own personalized quote, book, and pay for this amazing event. This party will set sail Sunday, November 19 - Saturday November 25, 2017 from Fort Lauderdale Florida. Our agents will make booking easy for each individual traveler. If you want to extend your stay in sunny Fort Lauderdale, Florida before and/or after the cruise that can be arranged. To Request a customized quote complete the Form Below. 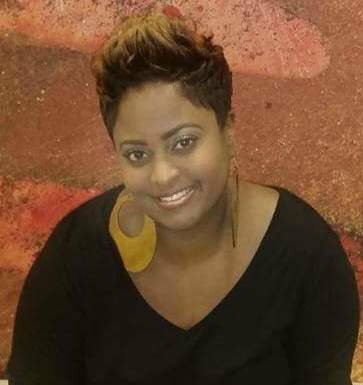 If you have any questions at any time please Contact your Cruise Vacation Specialist Latasah Polk. Be sure to check this page often as it may be frequently updated. Thank You! We look forward to seeing you all on this Royal Birthday Cruise celebrating Ms. Kristi Howard! With additions inspired by Oasis-class ships, Freedom of the Seas® is destined to ignite your imagination. See Shrek parade across the deck as part of the just-added DreamWorks Experience. Then end your evening with a selection of reds or whites at the now-more-intimate Vintages wine bar. Plus, enjoy the innovative and complimentary features Freedom of the Seas has always been known for—FlowRider® surf simulator, rock climbing wall, ice-skating rink, Freedom Fairways mini golf course, H2O ZoneSM water park and more. Our ships boast a sea of vacation possibilities for every guest. Like the chance to learn Italian, salsa dancing, or the recipe for a perfect martini. To conquer the rock wall and ice skate on the equator. Or slow things down with a hot stone massage and duty-free designer shopping. See, do and learn more at sea than you ever thought possible. Let's hear a round of applause for an unrivaled entertainment lineup—an amazing array of shows and performers, included with your cruise fare. Picture Broadway-style shows and original Royal Caribbean productions just steps from your stateroom. world-class performers that WOW on stage. Memorable moments with Shrek, Po and other DreamWorks friends. And when the sun goes down, the night heats up with live music and much more. Internet, laundry, dry cleaning and more - they're the services you enjoy on land, right onboard. And because we think the best vacations come without limitations, we've taken special considerations to outfit our ships with a wide variety of features designed to give access to all. Most cruises beginning and ending in the U.S. are considered "Closed Loop," meaning they begin and end at the same port in the U.S. For instance, if you board a cruise ship at Port Everglades, Fort Lauderdale, Florida, and after visiting at least one foreign port of call, such as The Bahamas return back to Fort Lauderdale, you have taken a closed loop cruise. 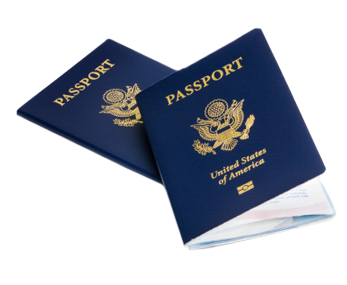 We encourage all of our clients to get a passport although you DO NOT NEED one for this particular type of cruise. Why? Let's say while cruising you find yourself or someone with you sick. Or something come up with a family member back at home and you need to get home right away. If you are in The Bahamas without a passport you will not be able to get home. Because, although you can cruise without your passport you can not fly. So as a rule of thumb here at CBE Vacations we encourage all of our clients to get or renew their passports. For information on how to get a passport and international travel requirements click here. Interior Staterooms come complete with private bathroom, vanity area, hair-dryer, closed-circuit TV, radio and phone and two twin beds that convert to a Royal King size bed. Promenade Staterooms come complete with private bathroom, vanity area, hair-dryer, closed-circuit TV, radio and phone and a view of the Royal Promenade with bowed windows, two twin beds that convert to a Royal King size bed. Ocean View Staterooms come complete with private bathroom, vanity area, hair-dryer, closed-circuit TV, radio and phone and two twin beds that convert to a Royal King size bed. Large Ocean View Staterooms come complete with private bathroom, vanity area, hair-dryer, closed-circuit TV, radio and phone and two twin beds that convert to a Royal King size bed. Panoramic Ocean View Stateroom has two lower twin beds convert to Royal King. Double sofa bed for quad staterooms. Vanity with sitting area, Private bathroom with shower. Floor to Ceiling wrap around panoramic window, 76 inches high by 103 inches wide. Balcony Staterooms come complete with private bathroom, vanity area, hair-dryer, closed-circuit TV, radio and phone and two twin beds that convert to a Royal King size bed, sitting area (some with sofa bed), private balcony. Deluxe Ocean View Stateroom with Balcony come complete with private bathroom, vanity area, hair-dryer, closed-circuit TV, radio and phone and two twin beds that convert to a Royal King size bed, sitting area (some with sofa bed), and private balcony. Superior Ocean View Staterooms come complete with private bathroom, vanity area, hair-dryer, closed-circuit TV, radio and phone and two twin beds that convert to a Royal King size bed, sitting area (some with sofa bed), private balcony. Owner's Suite come complete with private bathroom, vanity area, hair-dryer, closed-circuit TV, radio and phone and Marble entry with door bell. Queen-size bed, bathroom with tub. Separate living area with a queen-size sofa bed. Below you will find pricing for the cruise only for two people occupying one stateroom at the BOGO Rate. Airfare, Hotel (before/after cruise), transfers between airport and port, gratuity, and travel insurance can all be added to your trip. For your very own personalized quote complete the customized quote form and we will send you your quote. FOR YOUR PERSONALIZED QUOTE AND PAYMENT OPTIONS CLICK THE QUOTE FORM BUTTON BELOW AND COMPLETE THE QUOTE FORM.